All the files are easily replaceable. STIHL® black & orange braces 110cm long - attach to the trousers with buttons - keep your kit coordinated ! STIHL® Part number 000-884-1579. Stihl® part number: 000-884-1579. 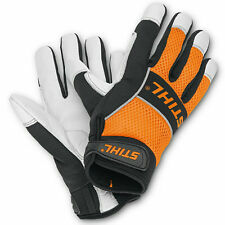 Stihl Ergo Work Gloves. The Stihl MS ERGO glove is designed for chainsaw/forestry work. Made from Full-grain leather, with a textile back, and feature closed cuffs. Reflective stripes are supplied, padded palms provide user comfort, and Velcro is provided to keep them secure. Fits Models: Stihl 034, 034AV, 034SUPER, 036, and MS360 chainsaws. for the cylinder with the decompression valve hole. This cylinder does NOT have the decompression valve. Uses 3/8 X. 050 gauge X 114 drive links. Condition is Used. No buy it now sorry. 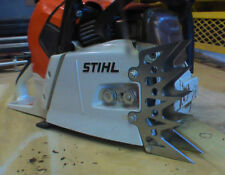 Fits the following models of Stihl chainsaws: 066 MS660. 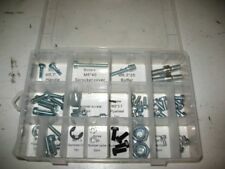 mounting screws (4). Wrap around handle bar. Fits the following models of Stihl: FS400. Includes a comprehensive guide on installation and troubleshooting. Expertly coated into the intake and exhaust ports to prevent finish chipping after the break-in period. 024 ms260 026 MS260 028 ms280 029 MS290 039 MS390 MS310 034 036 MS360 038 044 046 064 066 MS440 MS460 MS660 NEW #1125 640 1701. DOES NOT FIT MS660 MAGNUM. Fits the following models of Stihl chainsaws: 018 MS180. Stihl discontinued this coil and updated the cylinder to accept a new style coil. If your coil does not fit the mounts on the assembly, it must be replaced with the new style to work properly . Fits the following models of Stihl chainsaws: MS 361. Complete muffler assembly replaces 1135 140 0650. Exhaust gasket. Fits the following models of Stihl chainsaws: 028, AV, Super. NGK BPMR7A spark plug. Includes a comprehensive guide on installation and troubleshooting. Fuel filter. Impulse hose. Fits the following models of Stihl chainsaws: 017 018 MS170 MS180. Genuine Stihl Chainsaw Chain. 3/8" 1.1 12" CHAINSAW CHAIN 44 Drive Links. The drive link is the bottom part of the chainsaw chain (see picture in gallery). This chain is an all-purpose chain for use on light chainsaws. STIHL 71PM3 64 Chainsaw Chain. Pitch: 1/4" Picco. It only fits certain models and bars. If you aren't sure, send us the model and serial number of your chainsaw or send us the bar part number. Gauge.043". 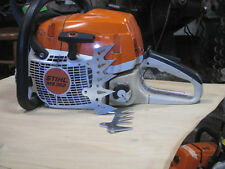 stihl MS462 Dog Steel Skelition Laser Cut. Condition is New. Shipped with USPS First Class Package. 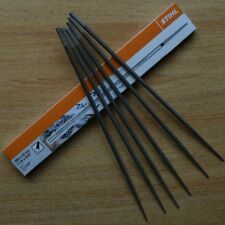 Made from 1008 carbon steel 0.105” thick These are not coated and they could rust or keep them oiled normally the use of the saw keeps them coated in bar oil. We also have a stainless and aluminum version. These weigh 7.36 oz The hardware and chain catcher are sold separately factory look or stainless acorn nuts. Look up “stihl roller dog “ for the deal. These are custom dogs or spikes skeletonized for the MS260 chain saw and they work great. If your looking for hardware to mount your new dogs or the chain catcher roller part. Fits the following models of Stihl chainsaws: 034 036 MS340 MS360. Complete muffler assembly replaces 1125 140 0607. Does NOT include spark arrest screen. 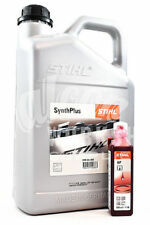 This is a BRAND NEW OEM GENUINE STIHL Tune-Up Kit. Part Number 1140-007-1800. Contains Genuine Stihl Air Filter, Fuel Filter, and NGK Spark Plug. Everything needed for a tune-up on your chainsaw! 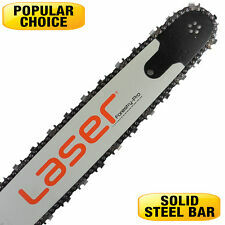 Fits Chainsaw Models - MS311 & MS391 You will receive exactly the item in the picture. Thanks!!! Stihl 026, MS260, 029, 039, MS290, MS310, MS390, 036, MS360, 038, MS380, 044, MS440. This replaces original part(s) #: 0000 400 1300. High Quality MACHINETEC COMPATIBLE STIHL MS271 MS291 MS391 IGNITION COIL NEW 1141 400 1303. Flywheel pullers for most Stihl chainsaws. 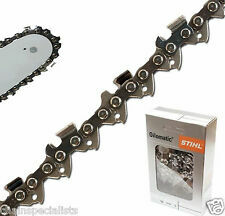 Stihl CHAINSAW CHAIN26RS 67 FOR 16" BAR. Be sure to confirm bar length, pitch and gauge, and drive links before ordering. PITCH.325". GAUGE.063". Fits the following models of Stihl chainsaws: 038 MS380. mounting screws (4). Handle bar with wrap replaces OEM 1119 790 1700. Fits Stihl chainsaw models MS660 and 066. Exact fit genuine parts are designed specifically for Stihl products. Genuine New Pair of Stihl Aluminium Felling Wedge's 190g Wedge 00008812201 Description Pair of Stihl Aluminium Felling Wedge's 130 x 43 x 20mm Brand new never used. 00008812201 [ ] (https://pages.ebay.com/seller-center/listing/listing-advanced-sellers/third-party-listing-tools.html#auctiva). Fits the following models of Stihl chainsaws: 034 036 MS340 MS360. Stihl 18" 1.6mm 3/8" Rapid Super Chainsaw Chain 36210000066. MS341,MS360,MS361. MS361,MS362,MS390. MS440,MS441,MS460. Stihl Model. Rapid Super (RS). High Performance Chain For Professional Applications. Up for sale is one new genuine OEM STIHL oil pump pick up filter kitdesigned to fit the following STIHL chainsaw models : 009, 009 l, 010 av, 011 av, 011 avt, 012 av, 012 avt. Fits the following models of Stihl chainsaws: MS192T MS192TC. Replaces OEM part number: 1137 080 2100, 1137 080 2108. For but not limited to these models: 028 038 041 031 032 051 076 026 036 044 046 066.